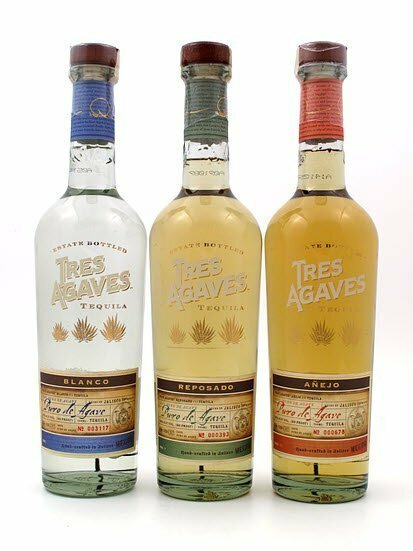 The spawn of some old-school tequila execs (and a spinoff of the Tres Agaves restaurant, now just called Tres), Tres Agaves burst on the scene last year as another producer of high-quality, 100% agave tequilas. The company also makes a very good agave nectar and naturally-flavored margarita mix, with key lime and agave nectar as main ingredients. We tasted both the blanco and reposado tequilas. Both are 80 proof.